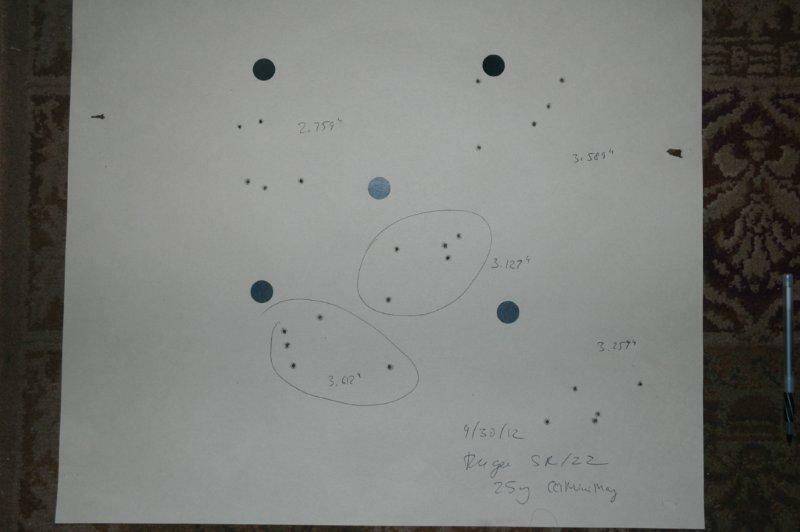 All were shot from the rest at 25 yards. This was fired with Weaver 2.5-8 pistol scope. 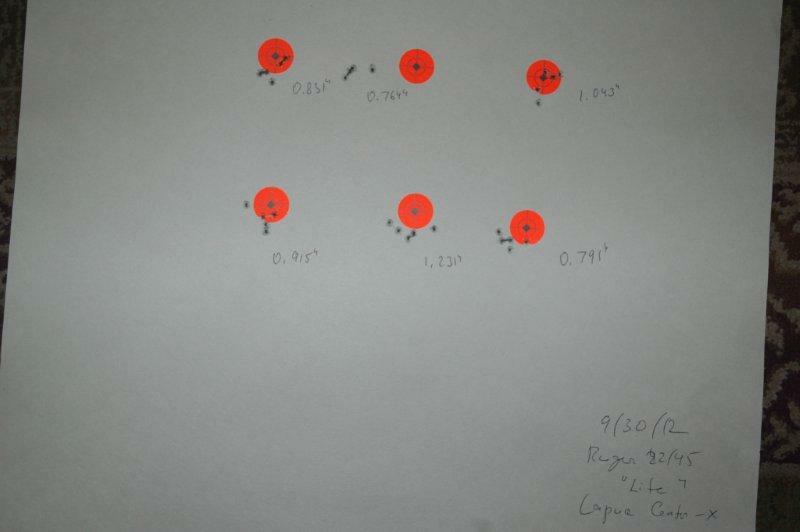 Ammunition was Lapua Center X. No scope, ammunition was CCI MiniMags. SR-22 is a plinking pistol - sights are not as prominent, and the trigger is fairly stiff. 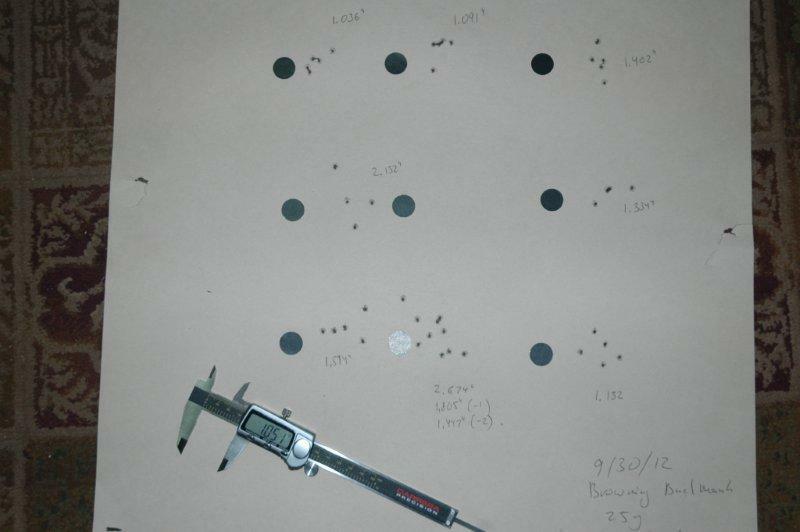 I would allow that the human dispersion was ~2", which leaves the pistol itself with roughly 2.6" accuracy (with the ideal shooter). No scope, ammunition was CCI Target. Groups (excluding 10-shot group): 1.036, 1.091, 1.402, 2.132, 1.334, 1.514, 1.132 (average: 1.38). I am not an amazing shot, but browning has a truly outstanding trigger pull and very clear, easy to see iron sights. If my personal accuracy with it was 1", this would leave the pistol at 0.95". If my accuracy were 1.2", the pistol would have to be 0.68"